Merrydale Manor will enable couples and their guests to have their own private slice of Cheshire for the day. The setting is both tranquil and picturesque; – the perfect setting to capture memories. When you see the impressive gates at the entrance to Merrydale Manor and glimpse the breathtaking grounds, you’ll know instantly that you’re in for a treat. It all starts with a grand sweeping drive that we think must be one of the finest drives in Cheshire! As you start your drive down you will get a sneak preview of the Manor House, nestled in grounds in the distance. 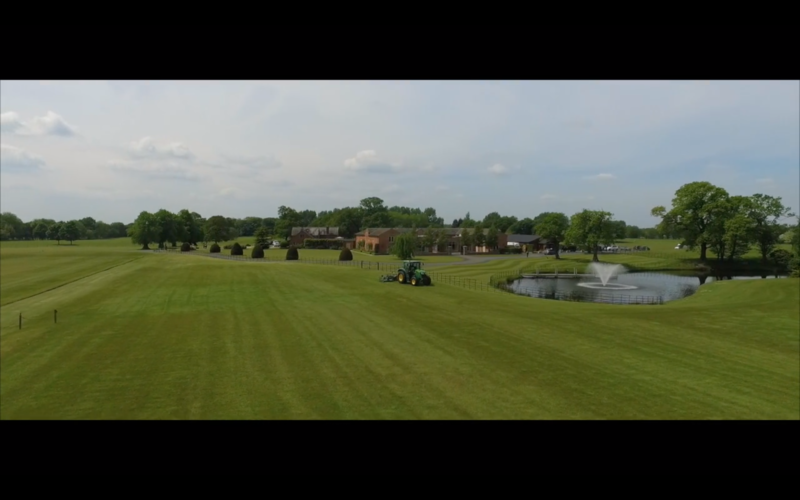 On your right, you will see Merrydale Manor’s HPA registered Polo pitch, which has hosted some of the most prestigious polo tournaments. You don’t have to be a fan of horses, but you cannot fail to be impressed by the sight! As you drive further into the country estate, you’ll pass the elegant Manor House on the left and the tranquil lake and lush green parkland to the right. There’s plenty of parking for you and your guests behind the newly constructed Merrydale Suite. There’s also a choice of accommodation ranging from the Manor House to Courtyard Rooms so there are options for you and your guests to really make the most of your time here on this Cheshire country estate. If you are looking for a wedding videographer at Merrydale Manor, or any other wedding venue, then please get in touch to see if we are available on your date.